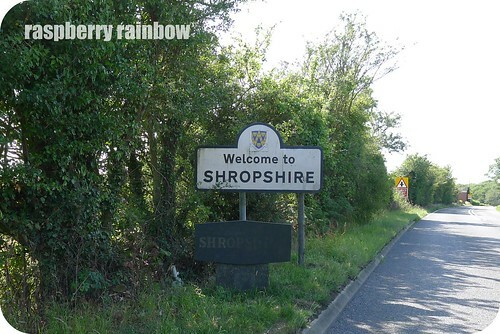 Raspberry Rainbow: Hello from Shropshire! Hello lovelies. As crazy as it sounds, we were in Hong Kong for only 2 weeks, and now we are in Shropshire, England. It was all very last minute, to fit in a long overdue visit with the Shropshire boys family before Abbey starts at her new Hong Kong kinder. 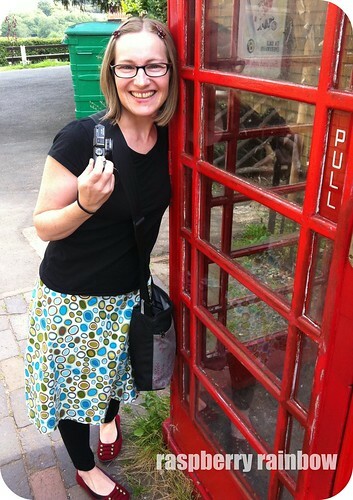 I hope I get my fill of red phone boxes while we are here, gosh I love them. I will be back blogging again in a week or so, when we get back to Hong Kong. Hi Cat..wow, you do get around. What a contrast Shropshire is to Hong Kong with it's heat and humidity to Englands mild summer heat. Shropshire looks georgeous and so do you! Shropshire , remember it well ( holidaying Y.H.A.ing ) and just love saying Shropshire it just rolls off the tongue.